This Centaur ABF16 countertop fryer has a 16-pound oil capacity—frying as much as 25 pounds of frozen french fries an hour—and comes with two nickel-coated fry baskets with cool-to-the-touch handles that prevent burns. A nesting bar suspends the baskets over the oil, so cooked product can cool and drain, or operators can prepare a batch of uncooked food for frying. 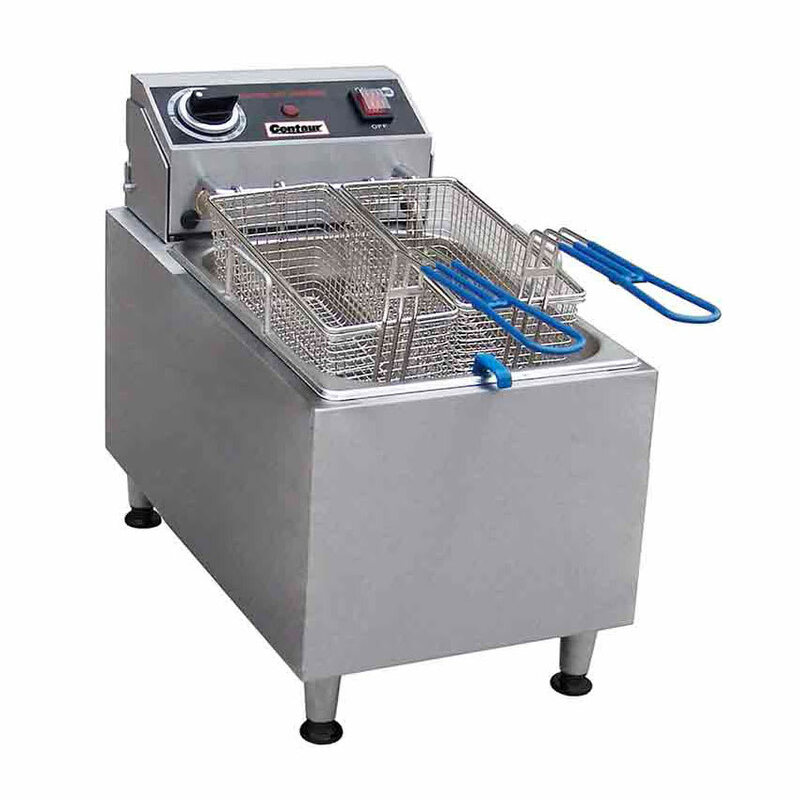 For durability, the Centaur ABF16 countertop fryer has a full stainless steel construction, and to facilitate cleaning, its steel fry pot lifts out. 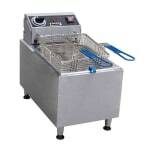 The fryer's stainless steel feet are adjustable, so it can be levelly installed on any surface. Its thermostat can be set to any temperature between 70 and 375 degrees Fahrenheit, while a cool-touch limit control prevents the fryer from overheating. Can cook 25 lbs. of fries per hr. Want to learn more about these fryers? Check out this countertop fryers resource article.